In light of the recent news headlines involving NSA’s PRISM surveillance program, it probably should not surprise us, but big brother is watching You. For some time now, police in an increasing number of states across the country have been using “license plate readers.” These devices collect various amounts of data, including photographs, and time and place where the license plate information was taken. That license plate readers collect data is not as big as a surprise as to the sheer volume of license plates these devices can capture. For instance, photographs and information on over 700 vehicles in just one hour is not uncommon. Accumulating data on millions of license plates in one year is the norm. 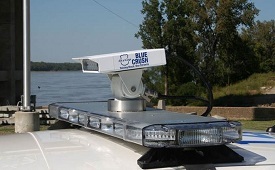 Police have found the license plate reader useful in identifying stolen vehicles. However, in one recent instance that turned headlines, a man asked the City of San Leandro, California, for the data from the scanning of his license plate. To his surprise, not only was his vehicle scanned over 100 times in the last three years, but within the records provided to him was a photo taken by such a scanner of him and his children exiting his vehicle at their home. While the potential privacy issues involved in this technology pose a great concern for many, it is worth noting that such records can be useful in pursuing a litigation matter. By using the power of a subpoena, these records can be obtained. With this data now available, it is important to consider whether it would be an asset in your investigation. Does your client want some sub rosa investigation into one of the parties in a lawsuit? Perhaps you are having difficulty personally serving an individual? Or need to know the location of someone at particular dates in the past? The information available from these license plate readers are a potential source of information regarding an individual’s whereabouts and favorite hangouts. It is yet another arm in the arsenal of attorneys and investigators alike to obtain information on an individual when litigating against them. ‹ When Is Your Expert Not Your Expert? Tagged with: scanner "license plate" "license plate reader"